Hard graft is an independent creative company with a simple honest approach to design. Based in Austria, in a medieval Schloss surrounded by vineyards and apricot orchards. They're not very big but they're good and they're passionate about what they create. 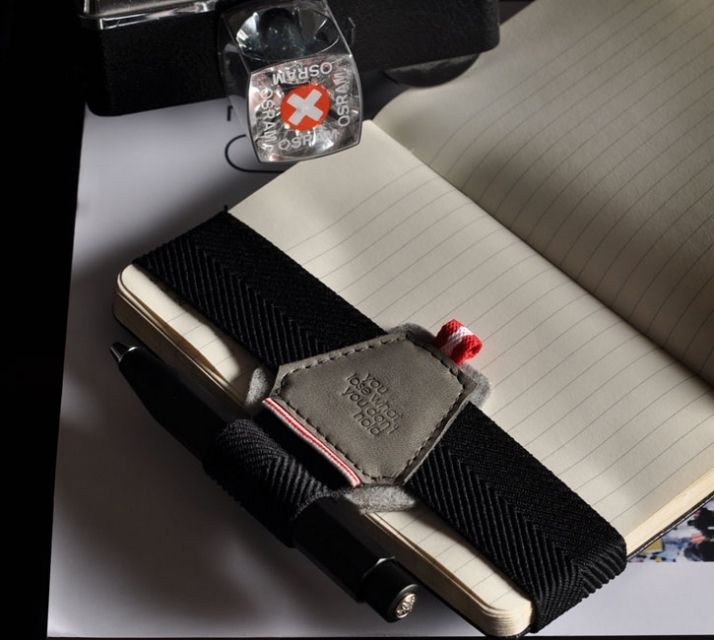 hard graft products are handmade entirely in Austria & Europe and they endeavour to use only natural sustainable materials. 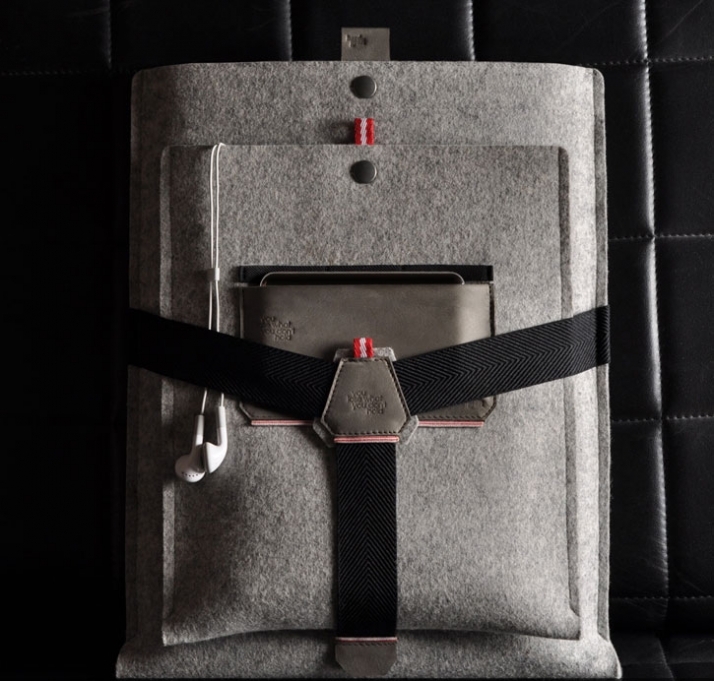 Hard graft specially developed a 100% pure new wool felt with a traditional German felt factory to fit our requirements. 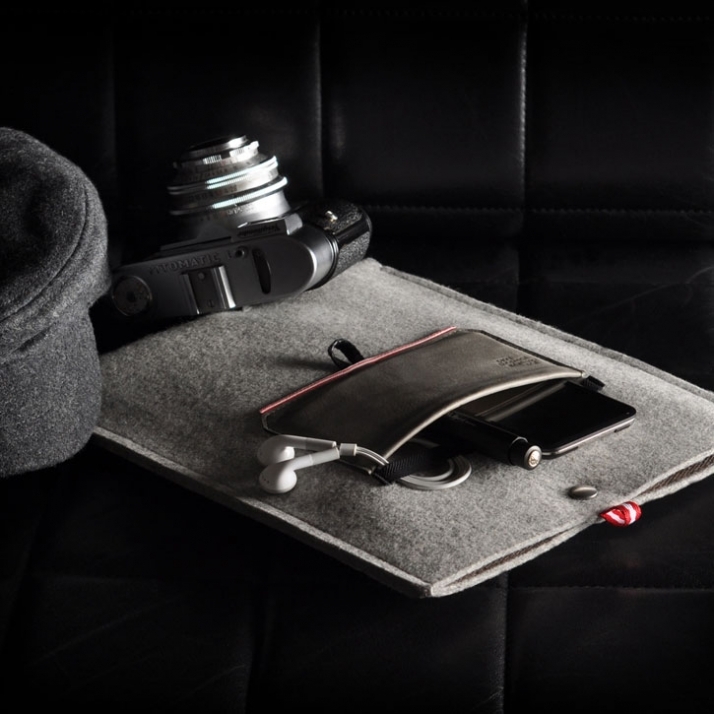 This 3mm thick felt is carefully made from fine selected fibres and then compressed giving it the perfect characteristics to protect our precious possessions - sturdy yet soft, water repellant, shock-absorbing and of course environmentally friendly. The leather that is used for hard graft products is premium European aniline cow leather which feels, smells and looks like leather should. Only the best hides from Italy are hand selected using the honest method of dying the colour through. All of this combined to give you the exclusive feel of luxury. They love the leather for it's natural qualities. It has a beautiful patina and skin structure which matures over time and use. 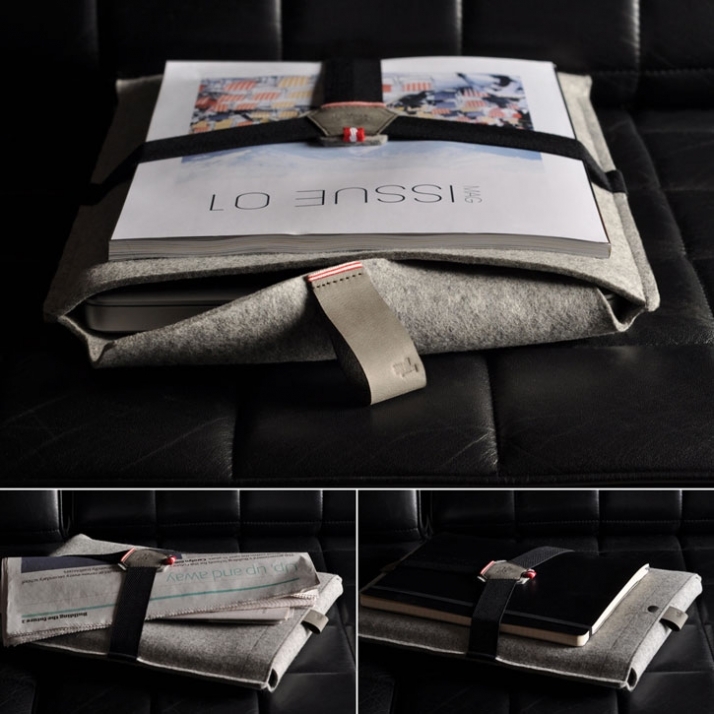 The Y MacBook sleeve features a sturdy black elastic herringbone which is designed to embrace your magazine, newspaper or the perfectly suited U add-on pouch. 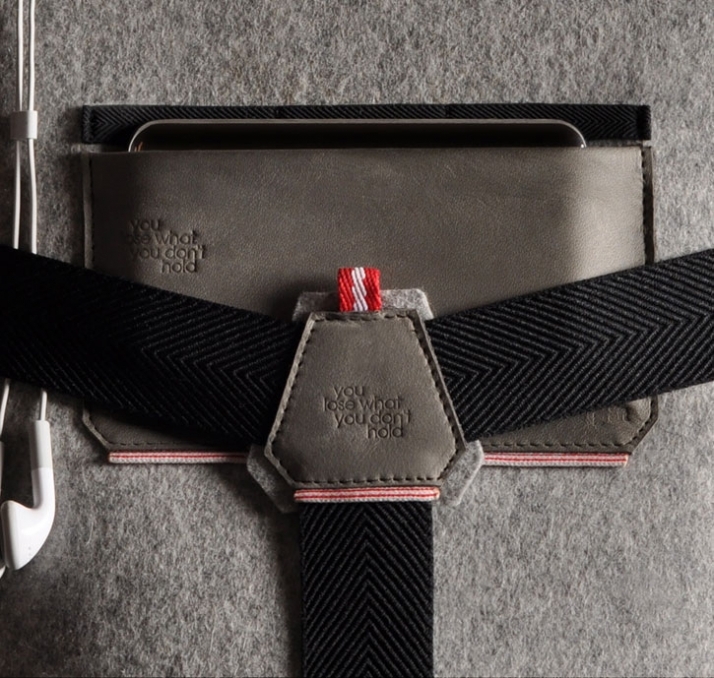 One snap reinforces the tuck-in opening flap making sure your laptop stays put. 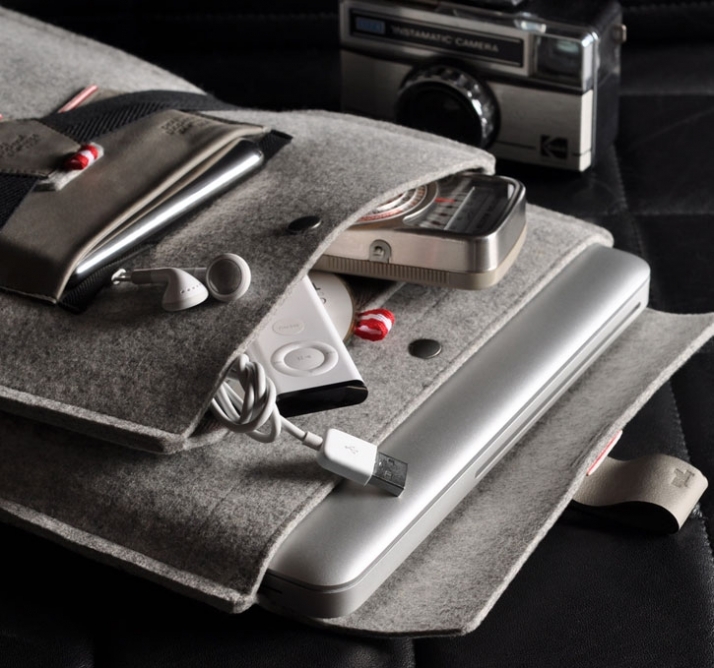 The U moleskine case for the large weekly or daily planner offers a slim external leather pocket which fits your iphone/phone or ipod touch perfectly. On the backside a black elastic herringbone holds your headphones or pen. 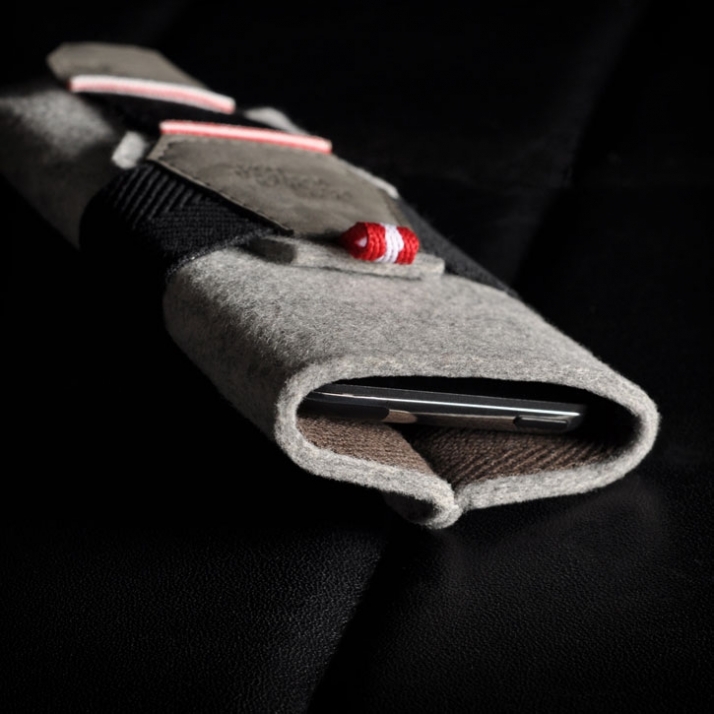 The Y phone case features a sturdy black elastic herringbone which is designed to embrace your headphones, headset, pen and credit cards. 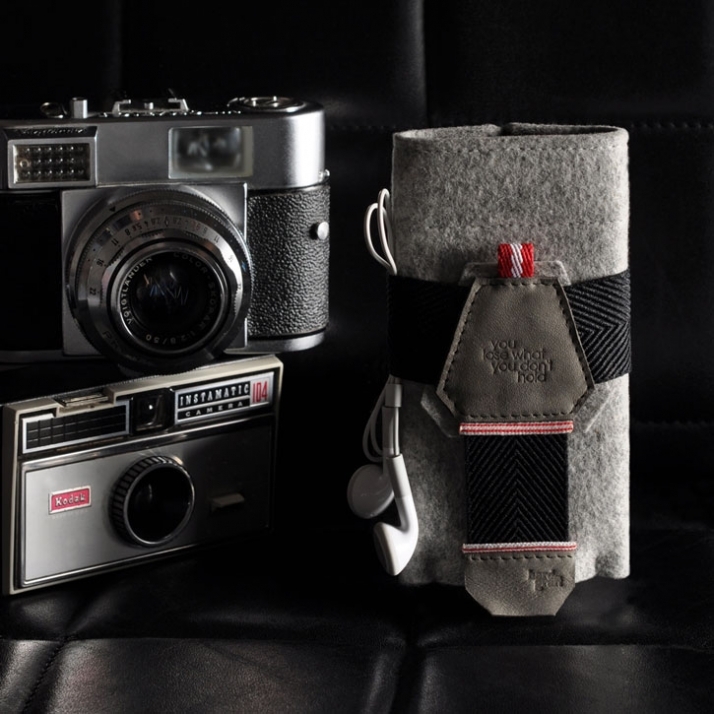 The slim device hugging design also enables you to access your iphone/ipod/blackberry/G1 in true James Bond style. 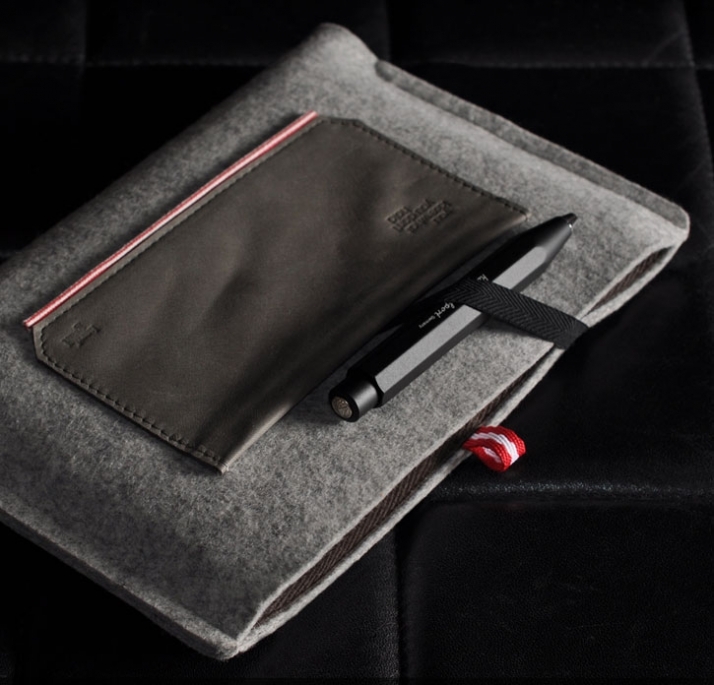 The Y moleskine hold is a sturdy black elastic herringbone which is designed to embrace your precious black book acting as a vertical page holder with a clever loop for your pen. A sturdy pocket-sized pen from Kaweco. 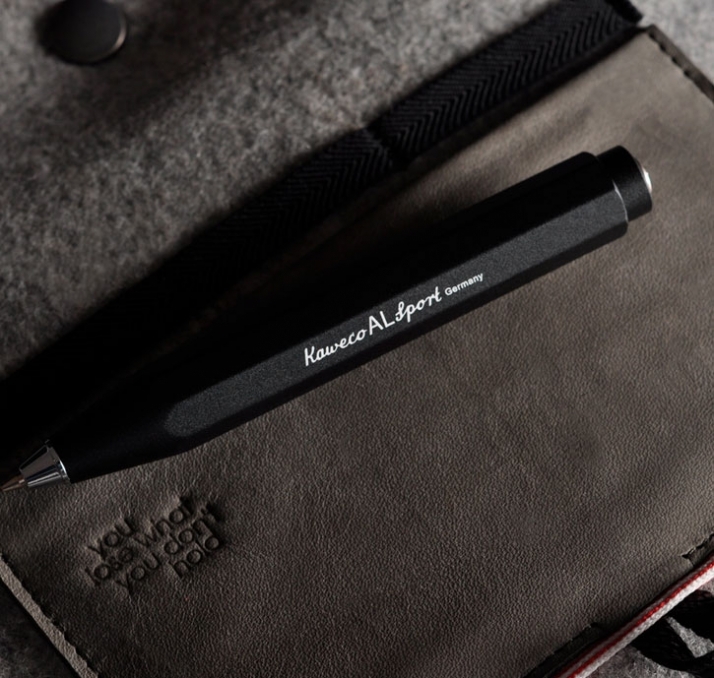 The 'AL Sport' ballpoint pen is one solid aluminium piece with a hand finished, anodized surface. Kaweco is a German brand that has been producing writing instruments since 1883 with a reputation built on high production standards.